The Comair Swiss Reception Desk is constructed from black, laminated wood and makes a splendid focal point for customers entering your salon. 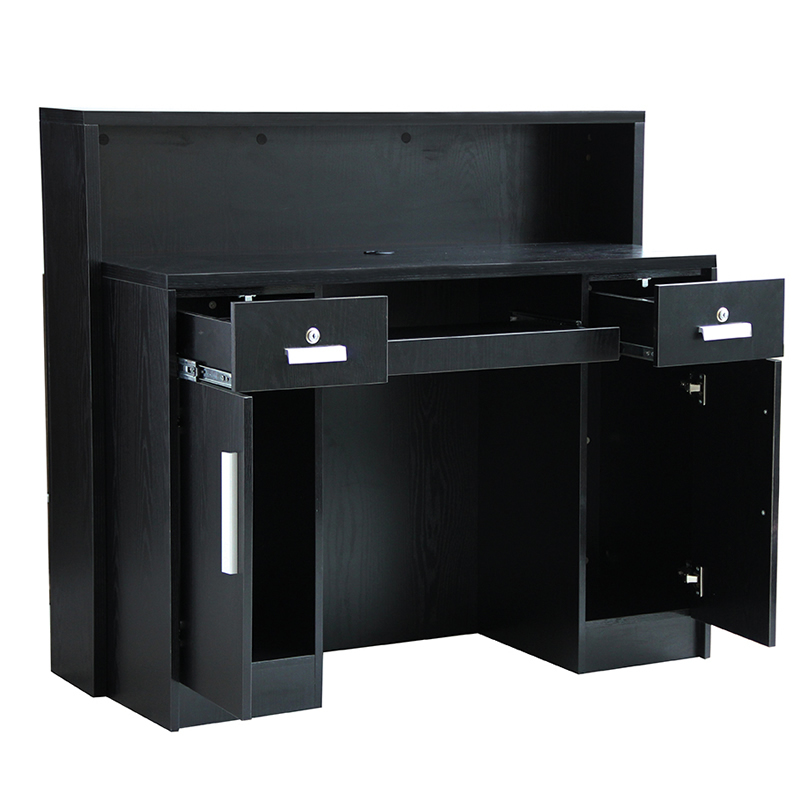 It comes equipped with 2 lockable drawers, a removable shelf space and 2 cupboards for storage. There's plenty of room to house appointment books, administrative kit, phone, computers and so on. The elegant, state-of-the-art design means there's a natural alcove effect to work in, helping to keep any client details confidential. The Comair Swiss desk measures 107.5 x 120 x 52 cm. £714.00 (inc. VAT) Why no VAT? We're a trade wholesaler and quote our prices without VAT to help our VAT-registered customers understand the true cost of a purchase.